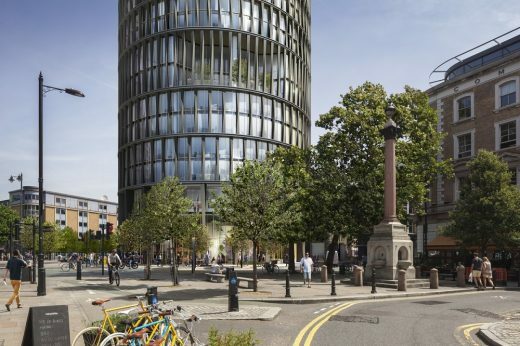 Planning is underway on the edge of the South Shoreditch Conservation Area which has been earmarked for regeneration by the London Borough of Hackney for some time. 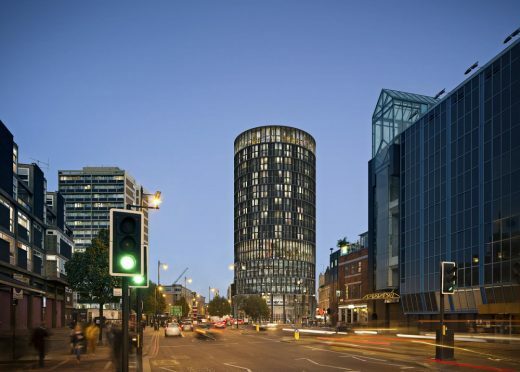 It is here, in London’s cosmopolitan Hoxton, that PPHE Hotel Group will develop their first art’otel in London. Hoxton is the ideal location for an art’otel, given its close proximity to the artistic influences of Hoxton Square with its galleries and performing arts centres. As the brand’s entire concept focuses on original art displayed from one artist throughout the hotel’s guest rooms and public areas, art’otel will fit perfectly against this fashionable backdrop. The plan is to develop a stunning 18-storey, 350 bedroom contemporary new hotel. In addition, a modern top-floor restaurant and bar as well as a relaxing spa open to guests and the local public, will form part of the hotel’s offering. There will also be a publicly accessible arts centre, which will include an art gallery, space for video artists and photographic studios. 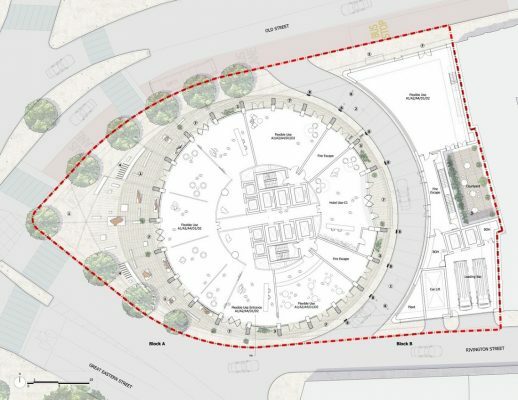 The proposed design reflects the site’s position at the North-west tip of the South Shoreditch Conservation Area, balancing the edgy nature of the latter, the taller more modern blocks towards the Old Street roundabout and the site’s location at the gateway to South Shoreditch. The main building has a bull-nosed structure similar to many of the historic corner buildings on Great Eastern Street. 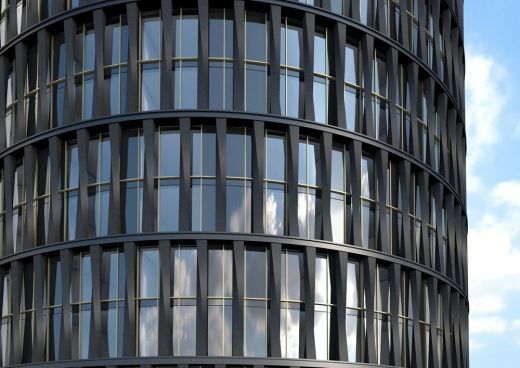 The main building will be wrapped in a ‘rainscreen’ skin which will act to improve environmental efficiency without hampering the fantastic views from within. The rainscreen has been inspired by the punch cards used in the textile industry that were historically located in the area. The inside will feel light and open with a central atrium rather than long corridors leading to large guest rooms designed in tandem with the art displayed throughout the building. The artist for art’otel london hoxton has yet to be selected. Planning permission granted by Hackney Council, 3 Feb 2010, despite local opposition and concerns from CABE. The art’otel london will replace The Foundry arts collective which has existed on the site for over a decade. Squire and Partners are the masterplanners – with Dixon Jones – for the hugely controversial Chelsea Barracks development in west London. Squire and Partners have submitted designs to the London Borough of Hackney for the flagship hotel for the art’otel brand, a contemporary collection of hotels in Europe which fuse architectural style with art-inspired interiors. The partially vacant site is on a prominent corner at the junction of Old Street, Rivington Street and Great Eastern Street, and lies within the South Shoreditch Conservation Area. 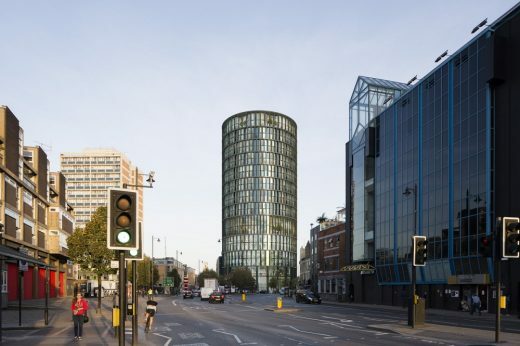 The cylindrical shaped 18- storey building (plus four below ground) responds to the site and other bull-nosed buildings in the area, and allows the building to exploit panoramic views across London. The drum is horizontally separated into sections, with subtle slices cutting through the building skin providing openings which highlight views of the local and wider area. Contrasting local contexts have informed the design of the external skin of the building, which is clad in a bronze-coloured anodised aluminium to complement the predominantly brick buildings which characterise the Conservation Area. The cladding is perforated with rectangles of various sizes which echo textile punch cards – textiles being an important industry in the area historically. Wrapping the building in a continuous perforated skin affords a sculptural quality, and controls light entering the building as well as views into and out of the rooms. The hotel will provide 350 rooms in addition to public areas including a gallery, arthouse cinema, spa and world-class restaurant on the double height top floor.